"In a wonderful piece of medical detective work, Dr. Wilfred Arnold gives a convincing account of the illness, porphyria, that afflicted and led to the death of a great artist. Along the way we learn of absinthe abuse in France, why Vincent van Gogh favored yellow in his palette, and much more--all told, most readably, by an expert medical scientist sympathetic to the artist and his work." 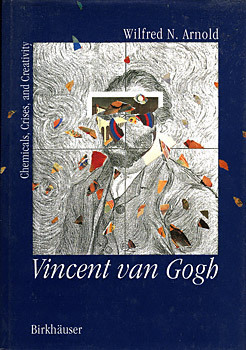 "Dr. Arnold has mustered a broad array of information to advance a new theory about van Gogh's illness and death...a fresh perspective, one that van Gogh himself would have appreciated..."
"Students of art and medicine alike will applaud this elegant explanation of the artist's sometimes bizarre behavior that takes all the facts--and only the facts--into account. Along the way, they will learn how modern science can, when properly exploited, help to unravel mysteries of art or of the mind from the past." "Dr. Arnold has assembled a broad range of information with particular emphasis on absinthe. His expertise in the area of these natural products is well recognized...Suggesting a relationship between terpenes in absinthe and others to the enzyme deficiency of acute intermittent porphyria is a creative notion...the relationship of crises to drugs, to starvation, and to other illnesses is well known and the thoughtful considerations make exciting reading..."